It’s finally here! The oversized, incredible, universe-changing 80-page DC UNIVERSE: REBIRTH #1 from the genius mind of Geoff Johns is out this Wednesday, May 25th, and with it comes a shocking surprise… the return of the beloved Fastest-Man-Alive, the Fiery-Haired-Flash, the Scarlet-Speedster, the “missing” Titan, Wally West! 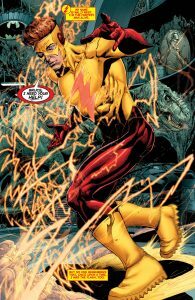 Lost in the Speed Force until this moment, Wally will rejoin teammates Donna Troy, Arsenal, Garth, Lilith and Nightwing for TITANS: REBIRTH #1, hitting shelves June 15th. In order to keep the mystery alive, DC solicited a cover featuring Donna Troy, leaving fans to wonder if the lost Titan would ever make a return. 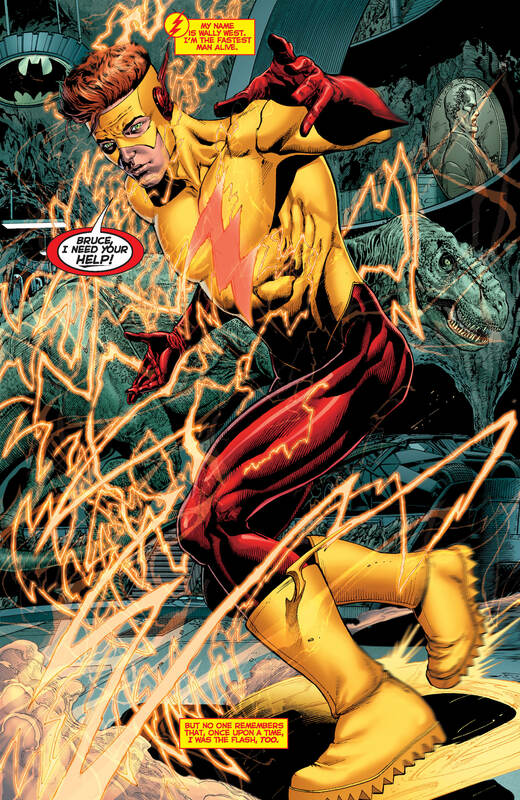 But now that Wally has appeared in the pages of DC UNIVERSE: REBIRTH #1, we can safely say the secret is out! 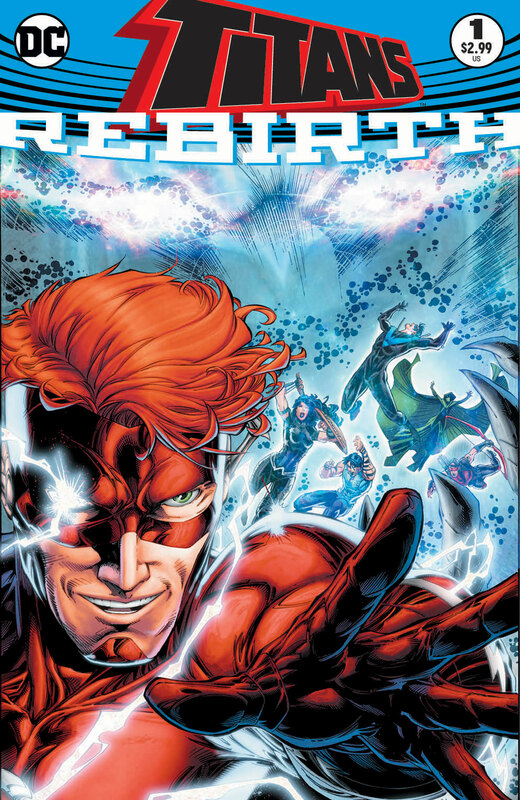 You can check out how he makes it home by picking up DC UNIVERSE: REBIRTH #1 this Wednesday, but you’ll have to wait until TITANS: REBIRTH #1 to find out how the Titans react to his incredible reappearance. Read more from writer Dan Abnett and artists Brett Booth and Norm Rapmund in June with TITANS: REBIRTH #1!